Writer Stephanie Molnar believes stories can heal. She is a strong advocate for social justice curious about intersections of environment, health, and science. Molnar’s clients value her compassionate interviewing, clear writing style, and enthusiasm. Organizations such as AARP, Men’s Health online, and METTLER TOLEDO have published her content. So why do some feet smell more than others? And what can you do to beat the stink? We reached out to top podiatrists to answer this oh-so-important question — and got their tips for odor relief. The sweat glands on our feet are the most active of any on our bodies, according to podiatrist Albert D’Angelantonio III, DPM, Assistant Professor of Surgery, Penn Medicine. “As opposed to other areas, they are constantly excreting. Exercise, heat or activities such as walking can make them perspire more,” he says. The bacteria that are always present on our skin create acid when they “eat” the sweat on our feet. Have enough hungry bacteria on your tootsies, and you can clear a room by taking off your shoes. “Odor so offensive it really knocks your socks off, so to speak, is known medically as bromhidrosis,” says Dr. D’Angelantonio. A bacterial infection in the skin’s outermost layer, called erythrasma, can also occur. Either condition can require medical attention and treatment in extreme cases. However, if you find yourself conscious of your foot odor, there are some actions you can take in the privacy of your own home to ensure that the next time you take off your shoes, no one faints. To keep bacteria in check, nothing beats bathing your feet — and the rest of you — thoroughly with soap and warm water. Afterward, make sure to dry between your toes, says podiatrist Ronald Lepow, DPM, assistant professor of orthopedic surgery, Baylor College of Medicine. This helps limit the dampness that bacteria need to proliferate. Make sure you choose clean, breathable socks once your feet are dry, says Dr. Lepow. He prefers synthetic fabrics specifically designed to draw away moisture (an action known as “wicking,”) while Dr. D’Angelantonio prefers cotton. Your best bet may be to try a few options and find what works for you. Wearing shoes multiple days in a row can retain moisture. So can the wrong material. “Leather breathes. Plastic doesn’t,” Dr. Lepow says. Plastics include the synthetics used in many of today’s athletic shoes. That’s why Dr. D’Angelantonio recommends always maintaining at least two pairs of go-to shoes regardless of material, so you can alternate wear days and give them a rest in between. He adds that changing out your shoes when they become worn, looking to alternative materials like canvas, or freeing your feet with open-toed styles can also help to eliminate moisture and disrupt the bacterial breeding ground. Your shoes themselves can breed bacteria if they retain too much moisture. “Make sure shoes aren’t stored in a cabinet or device where they don’t get air. Shoes exposed to circulating air dry out better,” Dr. Lepow says. An old-school shoe tree or door rack can be a worthwhile investment. Before you put shoes away, you can also remove liners and spray a light layer of Lysol in them to reduce bacterial growth further. “You’ll kill bacteria, fungus — all kinds of stuff that can cause problems,” D’Angelantonio adds. Black tea — the regular kind in tea bags — can be used as an antiseptic to help tame the bacteria on your feet, Dr. D’Angelantonio says. Steep two bags in 16 ounces (two cups) of boiled water for about 15 minutes. Add about two quarts of cool water, then soak your feet for about 20 minutes once a day for a week. So you live seaside? You’re in luck! Saltwater helps to keep bacteria in check. Dip your tootsies in the ocean at least once a day, and you’re all set. If the ocean is your vacation destination and not your daily view, create your own sea. 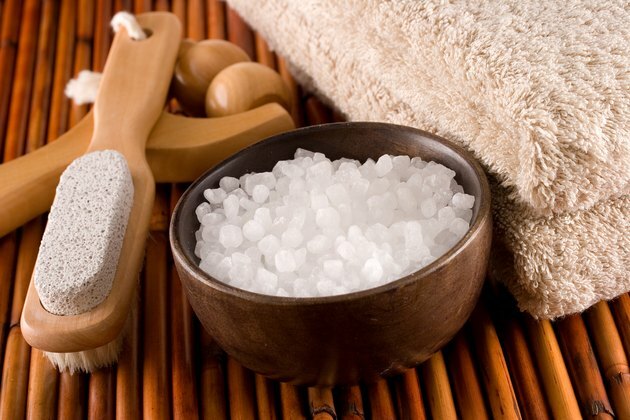 Add about one cup of kosher salt to a tub or bowl of warm water and soak for 20 minutes a day for two weeks. “This will help get bacteria back down to normal levels,” Dr. D’Angelantonio says. Here’s another reason to hit your yoga mat or find other ways to relax: Practices like yoga and meditation that have been shown to reduce stress can also help lower the sweat response in people who tend to be consistently sweaty, Dr. Lepow explains. “There’s a component [of sweating] that has to do with the nervous state of the individual. If you tend to be high-anxiety, you might sweat a little more in certain social situations,” he says. “Being a little less stressed can affect the amount of perspiration that occurs on your hands, feet and under your arms,” he continues. Typically, less sweat means less stink — which is the principle behind commercial antiperspirant. And, actually, antiperspirant can be a good idea. 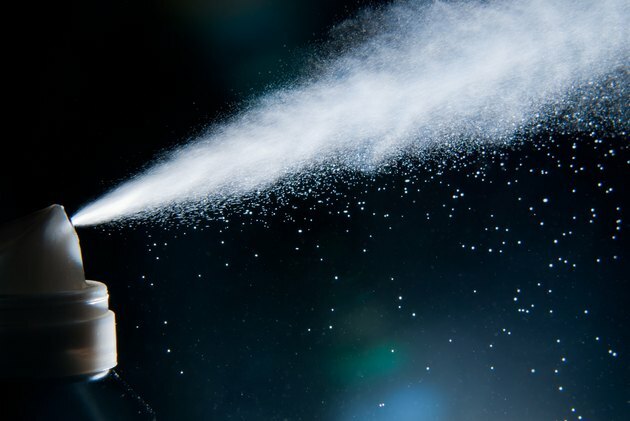 Since sweat is the primary source of food for odor-causing bacteria — regardless of where it originates on the body — the same sprays you would typically use under your arms can actually be used to help reduce foot sweat and the stink that results. If none of these actions seem to help, it may be time to see your primary care physician for a topical medication to help reduce bacteria growth and treat any accompanying fungal issues. Which one of these strategies will you try? What else have you found that helps stinky feet? Do you have any favorite type or brand of socks that we should try? Share your thoughts and suggestions below.